T-bone car accident claims in California are among the most deadly type, accounting for 27 percent of fatal motor vehicle collisions. 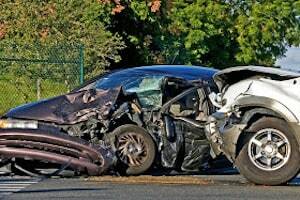 I know this first hand as a motor vehicle collision attorney representing victims of intersection crashes in Los Angeles, Orange County and the Inland Empire. When a person is occupying a vehicle that suffers such a collision, there is much less ability of the side of a vehicle to absorb the physical forces involved. The type and severity of resulting injuries will depend on a number of factors. Here is what people need to understand about side-impact crashes. T-bone or side-impact car accidents normally occur when a driver fails to yield the right of way to another motorist who is crossing through an intersection. Sometimes, these happen when the at-fault driver fails to stop at a red light or a stop sign. In other cases, the driver may have been speeding and not have allowed themselves a sufficient distance needed to come to a stop before entering the intersection. The most common type of injury sustained in a lateral-collision accident depends on which side of the vehicle the person is occupying. Those on the struck side commonly suffer chest injuries, followed by injuries to the lower extremities, head and the abdomen or pelvis. On the non-struck side, the most common injury type suffered is a head injury followed by injuries to the chest. As briefly outlined above, where the victim is sitting in the vehicle can significantly impact the type of injury received. Those that are sitting on the struck side of the vehicle are normally severely injured when they are hit by the door panel. On the non-struck side, severely injured people most often strike the person next to them and then the pillar by the front door, usually with their heads. Children are more likely to suffer significant injuries in lateral collisions than are older adults, and may be seriously injured even when the crash is a low-speed impact one. Those who are four or younger represent 25 percent of the significantly injured. Those aged between five and nine represented 19 percent, while children between 10 and 15 years old represented 27 percent. Many of the children who were severely injured were not appropriately restrained. For the youngest group, many were wearing adult lap belts without the use of appropriate child or booster seats for their age, height and weight. For people in general, failure to use lap and shoulder belts increase the risk of sustaining serious injury or even death in a lateral impact collision. If you or a loved one has been seriously injured in a lateral impact collision, the emotional toll is often combined with significant and unexpected expenses and financial losses. When a loved one is killed, the families left behind are often left dealing with the grief and pain of their loved one’s loss as well as the financial losses. Through filing a personal injury or wrongful death civil lawsuit, you may be able to hold the at-fault driver personally liable for their negligence. In this way, you could recover damages for both your economic and noneconomic losses. To find out more, you may want to contact an experienced auto accident attorney if you or a loved one has suffered in such an accident. Steven M. Sweat, APC has successfully recovered monetary damages for victims of lateral impact auto crashes throughout Southern California including Los Angeles, San Diego, Orange County and the Inland Empire. Call our injury helpline toll free 24 hours a day, 7 days a week at 866-966-5240 for a free contact us . We do not charge fees unless and until we recover money for you. Allstate Blog, “5 common causes of car accidents – and how to avoid them,” Joe Campanella, Feb. 2, 2014. Association for the Advancement of Automotive Medicine, “Factors influencing pediatric injuries in side impact collisions,” Kristy B. Arbogast, et. al., Accessed June 15, 2015. National Highway Traffic Safety Administration, “Vehicle far-side impact crashes,” Richard Stolinski and Raphael Grzebieta, Accessed June 15, 2015. Roads and Maritime Services Geared, “What happens to your body in a crash?” Accessed on June 15, 2015.